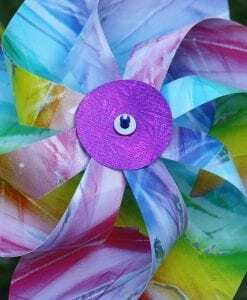 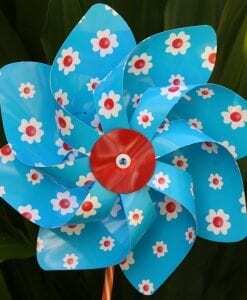 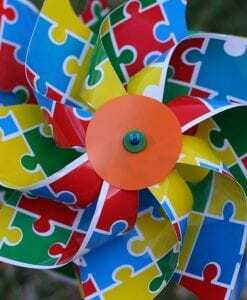 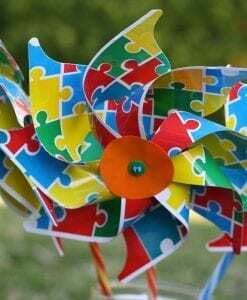 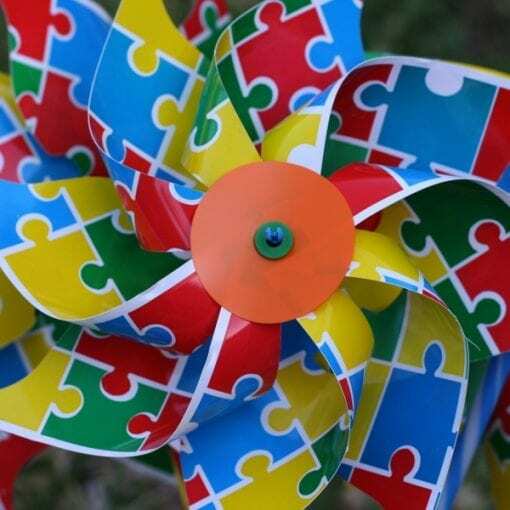 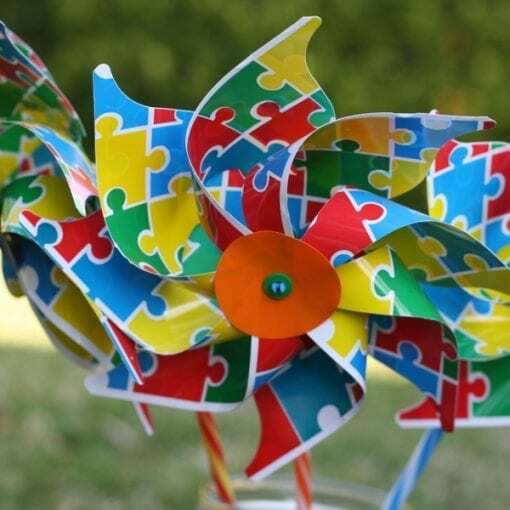 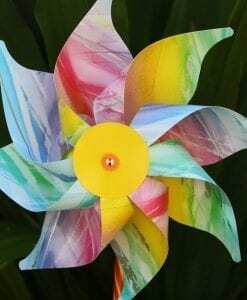 Quality Italian-made brightly coloured Jigsaw Windmill by GIOBAS add instant colour & movement to every childrens’ themed party. 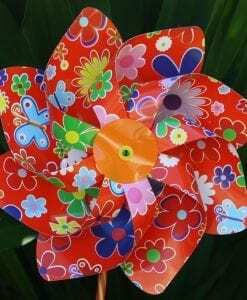 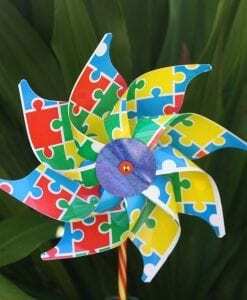 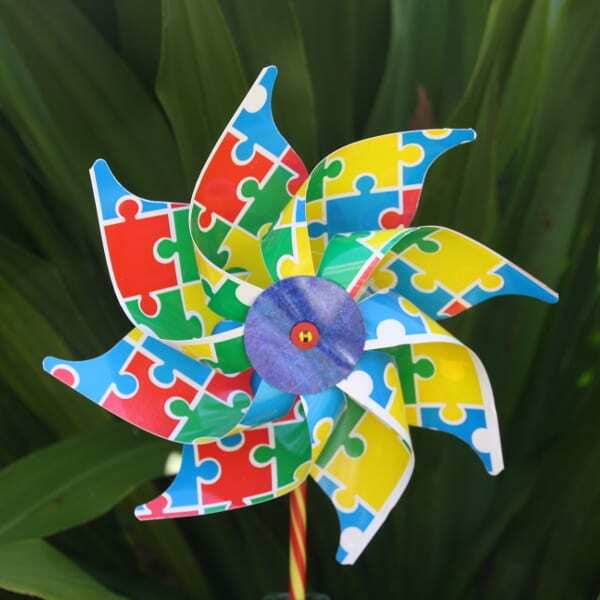 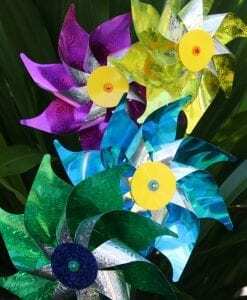 The Jigsaw Windmill varies in style- either pointy or rounded edges and have different coloured centres. 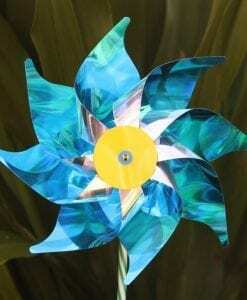 Windmill is bold and bright with a jigsaw style of pattern.